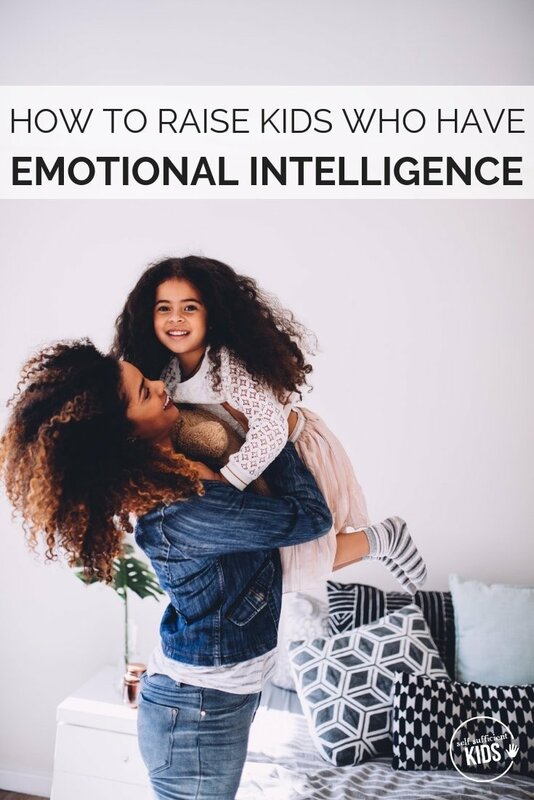 If we want to raise emotionally intelligent children we need to model emotional intelligence ourselves. Here’s how one mother overcame her perfectionism to help her kids understand and communicate their feelings. I was not raised to express my emotions openly. While I love my parents, it was frustrating to have my feelings continually invalidated and dismissed. I learned to withdraw and keep any negative feelings to myself, only allowing the happy to show. So, when I got married and started a family, I was determined to have the open, communicative family relationship I always wanted. And to raise emotionally intelligent children. That way, no one would struggle with unhappy emotions on their own. Too bad change isn’t that easy. By the time my eldest daughter was 5 years old, I was also caring for a toddler and a newborn – a.k.a., operating in survival mode. All my glossy ideas of family life were scattered between loads of laundry, constant meal prep, diaper changes, potty training accidents, and the rest of the overwhelming responsibility of raising a young family. To top it all off, I was only a year into my freelance writing career, adding that stress to my already full plate. My husband, wonderful man that he is, did his best to be an active father. But with a one-way hour commute to and from work paired with ten hour plus workdays, he wasn’t able to shoulder as much of the family labor. To push through this exhausting time, I found myself falling back into the old habits I was raised with – withdrawing into myself and not being very emotionally engaged with my family. I told myself this was okay because I didn’t want to burden my family and the only one hurting was me. I rationalized my behavior by thinking I could just handle it on my own somehow. That assumption would come back to haunt me. One day, my eldest was working on simple addition problems at the dining room table. I glanced over her shoulder as she worked and noticed she was stuck on 5+6. But when I offered my help, I wasn’t prepared for her reaction. “No, I can do it on my own!” my daughter said flatly, slamming her binder closed and stomping off to work at the living room coffee table. It was me in miniature, and I felt like the worst mom in the world. I thought just because the clothes were clean, the house was in relative order, and everyone was fed sort of on time that my stress was only my problem. But how many times had my husband or my little girl asked if I needed help and I said no? In an attempt to keep my stress, anxiety, and other uncomfortable emotions to myself, I had inadvertently taught my daughter that this is how she should behave too. Of course, I didn’t leave things that way. After taking a moment to collect my thoughts, I followed her into the living room and sat on the floor beside her. For a while, we sat in silence, math homework open but not worked on. Suddenly, my daughter threw her pencil and started to cry that she was too dumb to do math. I started to cry too and gathered her into my arms. Once she had calmed down, I told her she wasn’t dumb, just upset that she got stuck on a problem. “I can do it at school, but I can’t remember now,” she told me. We adults forget that for young children, everything we now regard as a minor bump in the road is literally the worst thing our kids have ever experienced. “Honey, it is okay to ask for help. You can tell me you’re unhappy and need a hand,” I said. “But you never need help,” she replied. That made me feel even worse, as it confirmed that my behavior was the source of this breakdown. She agreed to this deal, and we were able to finish her homework together without either of us bursting into tears again. It seems so simple, but in our society, we have been conditioned to only allow our “best side” show, as anything else means you’re a failure. But that means raising generations of emotionally-stunted people who are unable to successfully communicate their feelings. From that incident onward, I re-dedicated myself to breaking the cycle of emotionally non-communicative people. Once I knew the impact my closed-off emotional state could have on my children, I made an effort to communicate more. I didn’t have to be supermom. Instead, I could tell my daughter I was feeling tired and would love her help folding laundry. In the years since realizing how strongly my communication style would impact my children, researchers have validated what I learned. In fact, how parents communicate with their children can impact their future health behaviors, and influence how children approach smoking, obesity, and other health-related issues. When children lack the ability to communicate and emotionally connect with their parents, many of them will turn to other outlets, looking for ways to soothe their feelings with food or substance abuse. One-on-one time: At least once a week, my husband and I spend time individually with each of our three children. Sometimes it’s to go grab some ice cream. Other times it’s a more structured activity. This time gives our children an opportunity to connect individually with us and express things they don’t want to share with everyone else. It has also helped them know they can come to us whenever they need advice or are struggling emotionally. The communication this one-on-one time has encouraged also has helped our children to navigate their friendships. Family dinner – I know, it sounds terribly old-fashioned. But taking time every day to sit down and talk to each other really makes a difference. We don’t restrict the conversation. Instead, my children know if they’re having a problem, are excited about something, or want opinions, family dinner is a reliable time where they can talk to the whole family. Supporting my theory of the importance of quality time and communication, the Journal of Marriage and Family published a study stating that the time children spend engaged with their parents is more meaningful than the more passive time spent together. In fact, over the course of this long-term study, children with the highest levels of engagement with their parents struggled less with delinquent behaviors than their peers who had less quality time. I can’t say I’m a perfect mom. I have struggled with being an example of emotional intelligence for my children. What I can say is that I’ve tried and my teenage children are now confident, independent and fairly self-reliant. So, while I will always work on myself, I take some pride in that accomplishment, and I always hope that by sharing my experiences, other parents can raise emotionally intelligent children. Cindy Price has worked as a parenting educator for over 15 years. 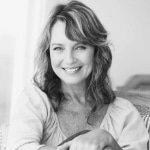 With children in their mid-to-late teens, many of her current topics are focused around getting teenagers through their transition from childhood to adulthood. As one of life’s greatest joys is her family, she works hard to give advice that will allow families to come together, no matter what obstacles they face.